Heracles battles three Centaurs brandishing boulders and tree-branches. The hero wields a club and has a sword sheathed at his side. 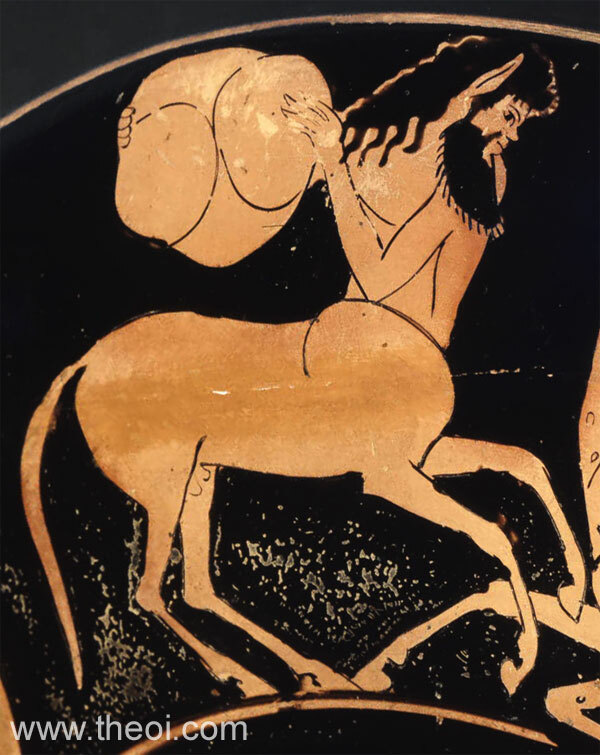 The Centaurs have the facial features of Satyrs with pug noses and bestial ears. The spotted pattern on the middle Centaur suggests its equine coat covers its human arms and torso as well as its lower horse parts.